Martial arts have long been the hobbies of a select few people around the world and now, the appeal is growing rapidly, especially in North America. And not only is the sport of MMA (mixed martial arts) and martial arts itself growing, but people are finally starting to see how good of a workout MMA can be. Not only is it fun, but it also teaches you a number of things, 3 of which I will tell to you right now. While some people may watch an MMA event and think the men and women competing are nothing but barbarians who repeatedly slug each other in the head, this is not the case. Most, if not all, of these athletes have the utmost respect for their opponents and the sport. This respect goes all the way into the atheletes core and makes them some of the most disciplined and humble people you will meet. And even just by training a little bit, you will start to see your discipline get better as well! This is one of the best benefits (at least physically) of doing an MMA workout. While most workouts target a single muscle or body part per session, an MMA training workout engages every part of your body and forces your body to work as one unifed unit. Through the punches, kicks, elbows, wrestling, grappling and more, every base is covered. 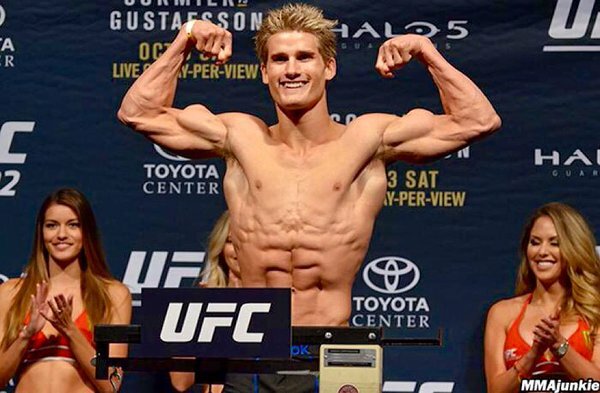 It is no surprise that MMA fighters have some of the most impressive physiques in the world. Of course, their diet obviously comes into play but their MMA centered workouts definitely don’t hurt! This is perhaps the best reason why MMA is a fantastic workout. When you are training MMA (even without actual contact), you are practicing a variety of great self defense techniques which can surely help you out if you ever find yourself in a tricky situation. There have likely been thousands of people out there who took a various martial art class for workout purposes only to actually use the attacks they learned. These classes will surely make you a more confident and unafraid person if you are ever flung into a bad situation than you ever would have been before you took the class.